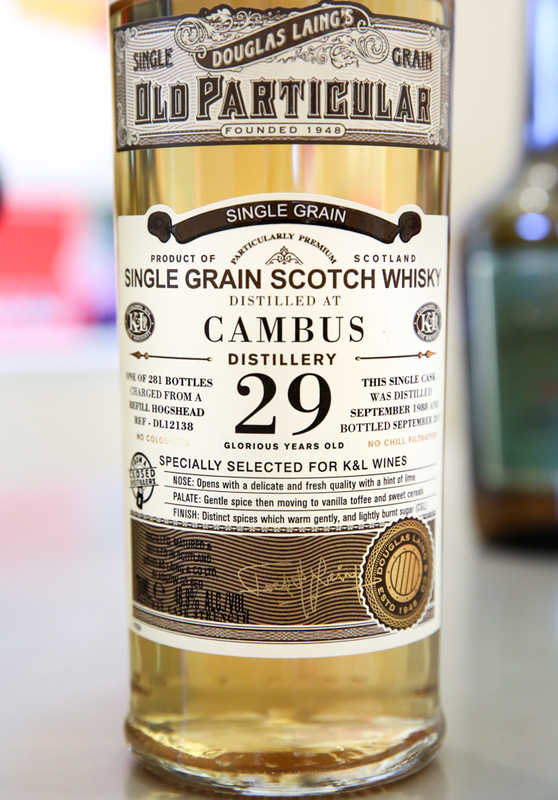 Cambus, along with Bowmore, is a distillery we will always stock from when available. One of Diageo's top grain distilleries until it was closed forever in 1993, not are the Cambus whiskies smooth and round in character from front to back, but because the distillery has been gone for 25 years now it means that every bottle consumed from this point out moves the whisky a step closer to total extinction! This 29 year comes in at 46.9% with less richness from the oak than our previous 25 year cask, but with more vanilla and nuance. In essence, if you're a fan of the Nikka Coffey Grain expression, consider this an older, full proof version for a hot price. The nose is a standard grain profile of buttery oak, but on the palate those flavors open up into toasted coconut and cookie dough. It's a mellow, easy drinking whisky and an ice cube works wonders. 281 total bottles available, minus the one I'm sipping on right now!